Tennis, by its very nature, is a most graceful of games. Even to the uninitiated observer, there is something ever so striking about the silky smooth movement of the players around the court. The best performers make it all look so easy, gliding around in complete control of their bodies, rackets and the destination of the ball. Nowhere is this more evident than at Wimbledon, where the stylish serve and volley game – largely forgotten on other tennis surfaces – still has an important place. Spectators can be treated to flowing precision on the baseline, skilful dexterity in mid-court, and deft finesse at the net. The superstars of the grass courts – the likes of Billie Jean King, Steffi Graf, Pete Sampras and Roger Federer – have made it all look so easy with their effortless fluency and masterful control. In this sense, tennis at Wimbledon can be the very epitome of sporting grace and elegance. But these terms have added meaning here, where poise has always transcended the courts. Just as the movement of players is elegant, so is the personality of the tournament and the conduct of all those who come through the gates at Church Road. From the formal, well-respected dress code, to the polite address of the players, from the maintenance of the grounds to the behaviour of staff, volunteers and spectators, grace is readily observed. Standards continue to matter here. The unrivalled prestige of the world’s oldest Grand Slam ensures people buy into Wimbledon’s unique special culture. Players, officials and spectators act with grace and courtesy because, firstly, it is what is expected of them, but secondly – and more pertinently – because they are willing participants. They see the value in the way things are done at SW19, and are happy to support and nurture the values for future generations. And crucially, once grace is observed at all times, it begins to self-perpetuate. Chris Evert’s assertion that Wimbledon “stands for prestige, quality and tradition” is one that many, including us here at Sportsworld, readily agree with. This is a tournament unlike any other, and not just because of the superb matches played out over the years and the great champions who have been crowned. It is because of the way the tournaments have been run by the All England Club, and the way each participant – whether a professional player, official, or day visitor – has understood their role. 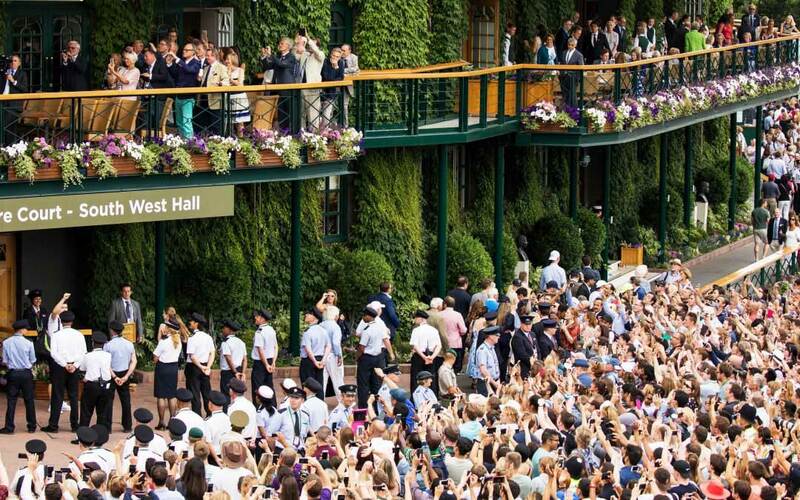 As an official hospitality provider to The Championships for 25 years, we highly value our own place at Wimbledon and the opportunity to be part of this sporting institution. We have always strived to act with grace and elegance, and deliver a superior experience for our guests at the Fairway Village. Our aim is that, just like the tournament itself, our packages stand for prestige, quality and tradition. Sportsworld’s focus has always been on providing a wonderful experience for our guests, and doing things the right way – the Wimbledon way. The players offer elegance on the courts, the All England Club demonstrates it around the wider venue, and we pledge to always deliver the same in the Fairway Village. To book your Wimbledon hospitality packages, contact Sportsworld today on 0208 971 2966.